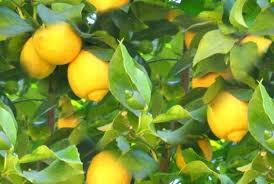 WHAT is it with citrus trees? One day they are lush and green and bursting with fruit, the next they are sulking, their yellowed leaves dropping and drooping like all get-out. After enduring one of my inherited with the new garden lemon trees not looking healthy, I moved it on the weekend to a sunnier spot. It's a little more windy at the rear of the yard but it certainly gets more sunshine and there's more space than it's former position where it was very close to fence. After giving it a good water and feed, it's now looking a bit more robust, so fingers crossed. But the other lemon tree in a big tub is not happy - dropping it's mottled leaves all over. If it does not buck up then it's out. I've discovered over the years you can spend too much time, money and energy on plants that don't and won't perform. Growing lemons is a wonderful treat - nothign like picking one the night before you plan to have pancakes for breakfast or to add to your peppermint or black tea.